Created using Soothing Chilean Rosehip Seed oil Chamomile and moisturising Aloe Vera this Somersets razor repair post shave face balm will help to heal skin from the effects of shaving and restore natural moisture balance. To use: Apply to dry skin after shaving. 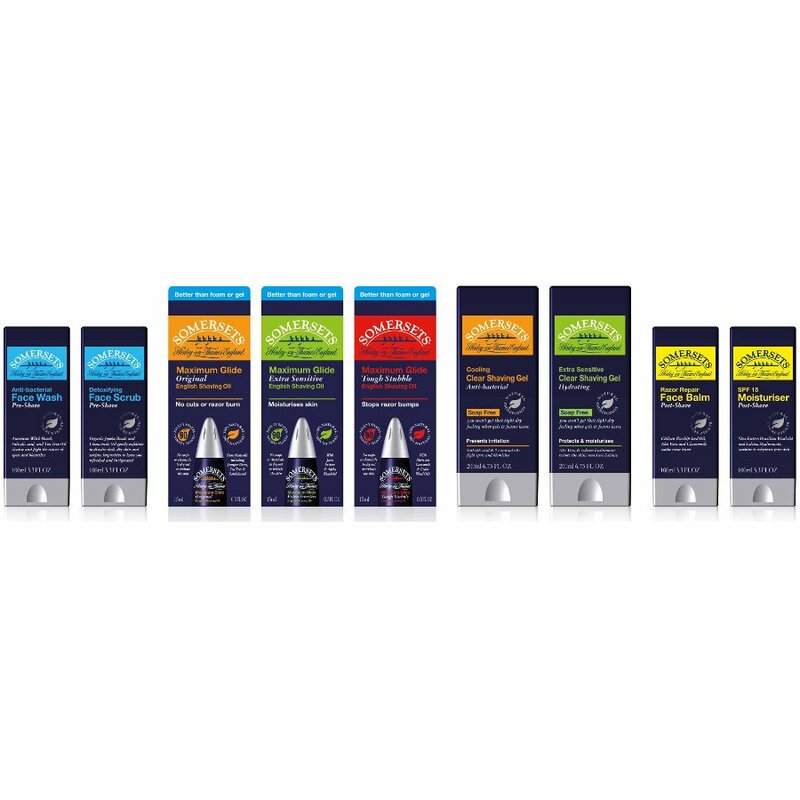 The whole Somersets range is suitable for vegetarians. Not tested on animals. Made in the UK. Purified water, Glycerin, Organic Blackcurrant Oil,Organic Chilean Rose Hip Oil, Sucrose Distearate, Sucrose Stearate, Tocopheryl, Triethanolamine, Decyle Cocoate, Anthemsi Noblis (Camomile), Panthenol, Natural Parfum, Geraniol, Citral, Limonene, Linalool, Allantoin, Carbomer, Organic Brazilian Alpha Bisabolol, Aloe Vera, Roman Camomile. 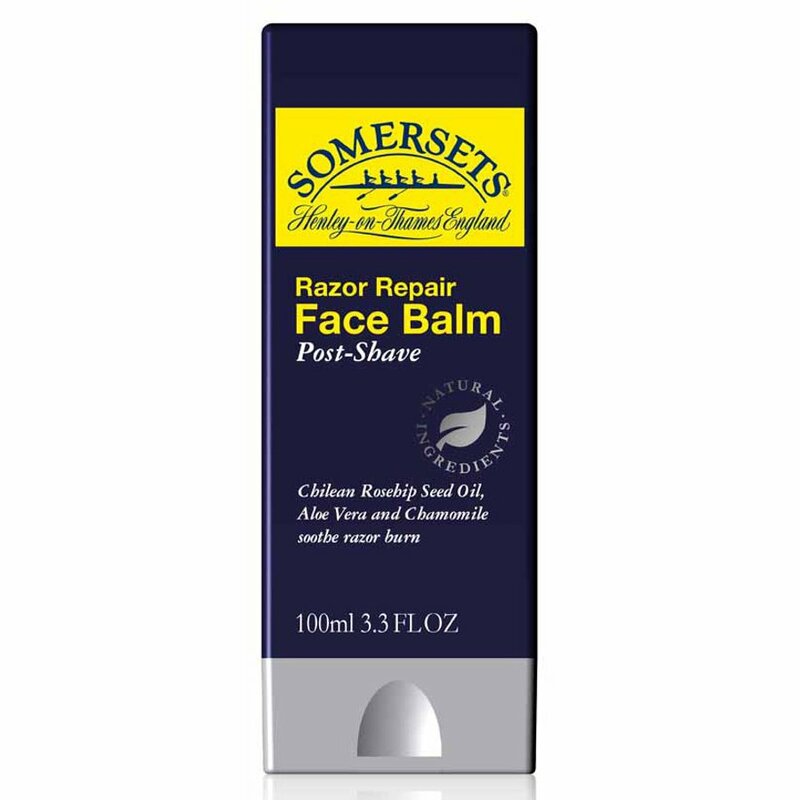 There are currently no questions to display about Somersets Razor Repair Post Shave Face Balm - 100ml.